Hyundai Santa Cruz Forum > Hyundai Santa Cruz Ownership > 2018+ Hyundai Santa Cruz Reviews > How might the SantaCruz rate? So I just saw that the Santa Cruz will be made in Korea for the 2018/2019 model year. However, it sickens me that I read that it will be a four door small suv. I would buy if it was closer to the Subaru Brat or El Camino which is what I under the impression it would be. I am so very disappointed and will not buy it if it is in fact a four door. Might as well buy the larger four door truck, if I was in the market for that. Where did you read that ?? I haven't come across that info! I'm not doubting you at all, just hoping you could provide a link or something to show an official statement on it. Would be interested in hearing what other trucks you will want. So far the ridgeline seems like a great alternative if you just want something pure light duty, anything more than that and you should probably get a 1500 series type truck. Yea, apparently some new axles from Dana that are greatly improved and more efficient. The Ranger Raptor is an Aussie package as they don't get the F-150 Raptor. New Ranger doesn't interest me - it's nearly as big as the F-150 (8" wider and 3' longer than my existing one). That was beauty of the Santa Cruz - not "Texas sized". I think you'll be impressed at how the Ranger takes off once it reaches America. Already one of its long-standing rivals is doing well... the Toyota Tacoma. Only thing its missing is two more doors. Just did some searching on the Ranger and another thing of beauty is that it'll be coming with several engine options so there's bound to be something to keep everyone happy. 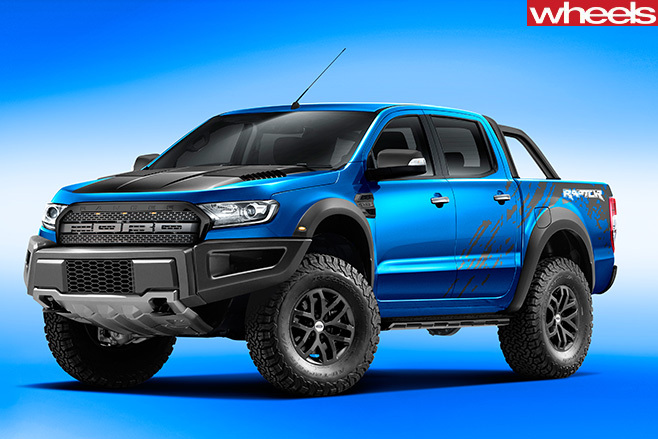 Especially after seeing a Raptor edition rendering of the Ranger, that thing is cool!! Was shocked for a second when I read that the Santa Cruz was axed for an SUV, but good thing I kept scrolling. Could find no mention of it in the news, but the new Mercedes X-Class seems to be the hot topic right now. Maybe Hyundai is waiting to see how it sells first before confirming the Santa Cruz. too bad it could be harder to justify bringing this to market than it seems because the market share isn't just as lucrative as what the F150 based Raptor sits in. so we could be in for a wait, but if it happen then I might just be in line waiting to get one.